This well-preserved FJ25 has been in continuous service since its birth year, underscoring the incredible durability of the Land Cruiser. It began its career as a workhorse on family-owned coffee plantation in the Colombian Andes. Later, when the family got into the violin and piano restoration business, this ever-reliable FJ25, went along for the ride, hauling the wood the family procured to restore the their instruments and transporting the finished product to schools, where they gave concerts. Recommended for serious enthusiasts or collectors, this FJ25 will be given The FJ Company treatment in the months ahead. The FJ25 was the standard model for the second generation Land Cruiser. It was the model Toyota used to break into other markets and launch its brand overseas. Under the hood, you’ll find the ever-reliable F-engine, which boasted 135 hp in 1960. Look closely at the engine hood on this FJ25, you’ll see that it is made of two separate stampings, joined together beneath a thin chrome strip. 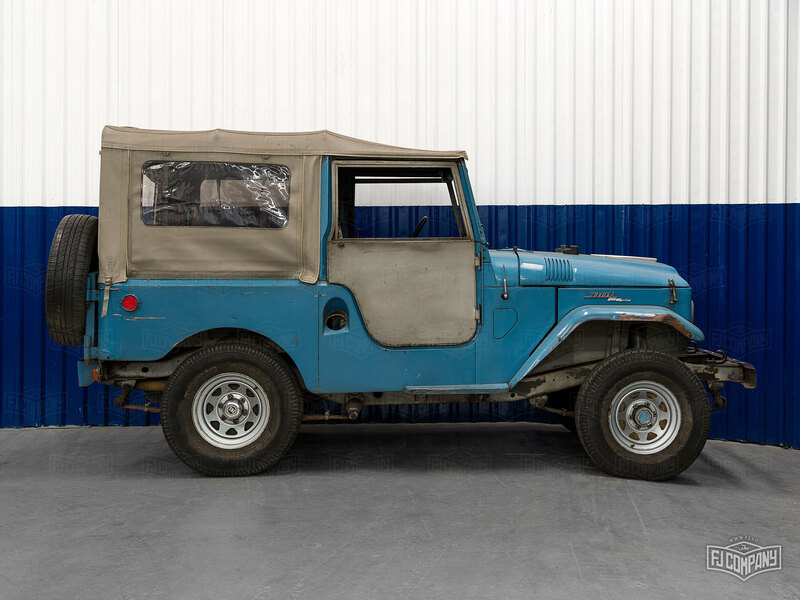 This is a remnant from Toyota’s early manufacturing process – the FJ25 was designed this way since the early 1950s. Ready to own a piece of automotive history? Please inquire below.